On 27 March 2012, Thieme Publishers, IUPAC, and the editors of SYNTHESIS, SYNLETT, SYNFACTS, and Science of Synthesis announced that the 2012 Thieme–IUPAC Prize in Synthetic Organic Chemistry was awarded to Melanie S. Sanford of the University of Michigan. Professor Sanford becomes the 11th recipient of the prize, and joins a select group of scientists under the age of 40 years whose research has had a major impact on the field of synthetic organic chemistry. The prize, which is presented every two years and includes an award of Euros 5000, will be given to Melanie Sanford on July 3, 2012 at the ICOS-19 conference in Melbourne, Australia, after her Thieme–IUPAC lecture. Professor Sanford has a particular interest in catalysis involving high oxidation state palladium complexes. She has shown that palladium(IV) complexes, which were earlier considered to be inaccessible under ambient conditions, can, with careful design of supporting ligands, be synthesized and studied in detail. More generally, her research program at the University of Michigan is at the leading edge of the use of transition metals to catalyze a variety of important reactions in organic synthesis and in the development of a fundamental mechanistic understanding of these organometallic reactions. She is internationally recognized as one of the foremost investigators in the development of catalytic processes for the site-selective functionalization of C—H bonds, an exceptionally challenging area of chemical research. 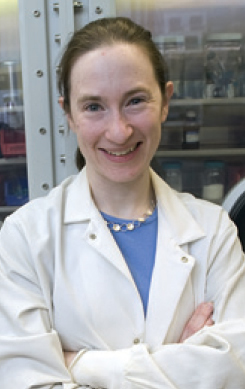 Her research focus has included the development of new strategies for achieving this ambitious goal, providing the mechanistic understanding of how the reactions work, and clarifying the underlying mechanistic principles in a way that will allow their application in many further classes of reactions. Sanford will share the latest exciting developments from her laboratories at her award lecture in Melbourne, Australia.